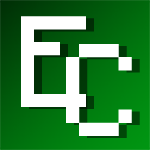 Welcome to the Econicraft Forums! Browse the topics and enjoy our vibrant community. EXCHANGE - Price guide takes effect March 1; Exchange opens; all accounts are to be reverted to ₢3,000. STAFF RANK - Will be phased out upon the Moderators convening for the March term on March 1. BUILDER RANK - To be phased out on March 3 because of the liability that item spawning has. Discussion will open on what role creative should have in our new economy. TOWN REFORM - Discussion will open on the subject on how to reform the requirements for towns.